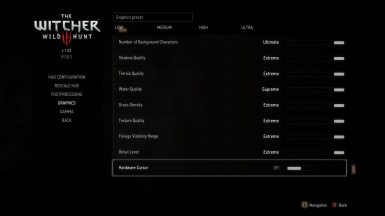 Allows the user to select Supreme, Ultimate or Extreme graphic levels via the in-game graphics option menu. 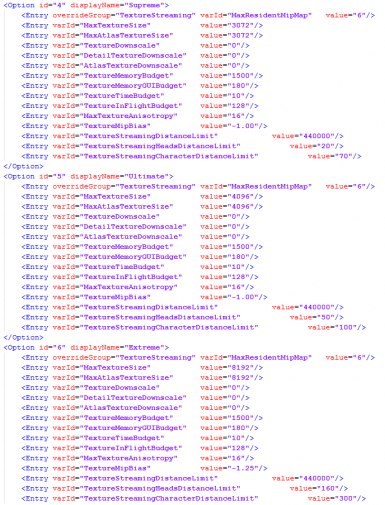 No need to manually edit your own ini file. No longer see setting menu drop to low when going beyond Ultra settings. Made the Sep 2016 File of the Month List. Thank you for your amazing support of my mods! Some of you may already may be familiar with this since I had it before on one of my reshades Wild Hunt Re-Imagined with Supreme to Extreme Graphics. I received some good feedback about it and people seemed to like the simplicity it offered. So, I figured I would go ahead and just release as a separate mod file. ini file manually. Although, it would it get changed at times for some reason. I couldn’t set the file to read only cause some mods need access to the user ini to change settings like Darker Nights, Camera Mods Ect….So if you lock it you cant change the info. simplistic. Just something I could just select in my in-game graphics menu for the settings I like. Hence, this mod. 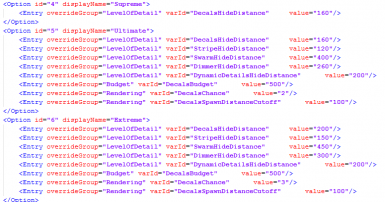 This will change your ini file for you when you select Supreme, Ultimate or Extreme. 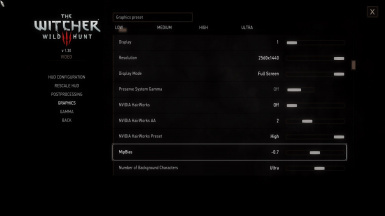 No longer seeing your graphics options slider always at "low" when you manually edit your ini. If you don't like the settings or to much of a FPS you can easily just switch back to low-ultra settings. 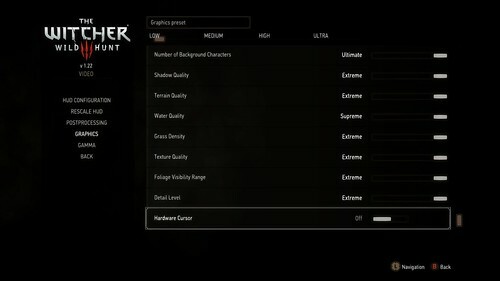 This adds a Supreme-Ultimate-Extreme graphic options via the in game graphics option. Reason I gave 3 options is for those that want to go beyond Ultra but maybe don’t want to push it to the extreme or don't have the top of the line GPU or running SLI setup so, maybe can’t quite push to the extreme. With Supreme-Ultimate-Extreme options you should be able to find that sweet spot for you beyond Ultra. However, with this mod I have included the default rendering files with the download just in case you need it. graphic settings. That is why I said back up your user ini file. Just in case you won't to revert back your own original settings. 2. Copy and paste bin folder into your Witcher 3 folder. I also included a read me file in the download that does explain some of the settings. This is the same as the regular Supreme to Extreme main file. 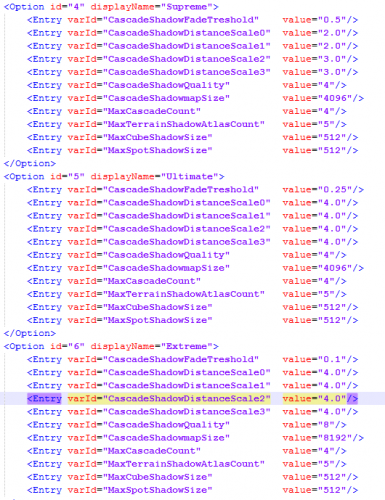 But, this just changes grass density settings for Supreme to 400 which is recommended by KNGR. 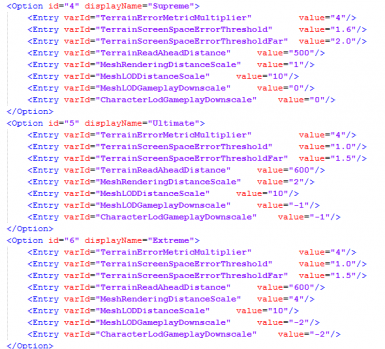 Additionally, if you find supreme to low I have (as of V4.1) made ultimate grass density 700 and extreme grass density to 1000. This mod already enables 4k textures by setting texture setting in the graphic menu to Ultimate or Extreme. If you install HD Reworked's 4k Enabler files as instructed via the mod page it will overwrite my rendering files and you will lose my settings. You can skip that step on HD Reworked page because this mod already does it. You will not be missing out on HD Reworked's amazing textures. Here is another video of one of my ReShade that I use the settings. Q: Why did you set the GrassDistanceScale to 2.4 at Extreme instead of pushing to 5 or 6? angles and quick movement. I find 2.4 was the max before this issue happened. You can increase it if you want via the rendering file. Q: What are the bigger FPS hitters? Q: I got some infinite loading or crashes? 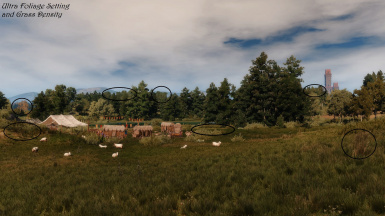 Witcher 3/bin/config/base and allow to overwrite. 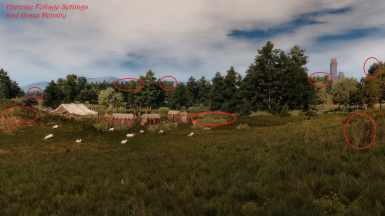 Q: Why did you set and MeshLODDistanceScale to 10 under Terrain Options? A: For those that use High Quality Faces. The author recommends 2 or 10 for that setting. Thanks to user RicktheDope who helped me out with some of these settings.